It’s that time again… 2010 is over, and it was a surprisingly great year for cinema, especially given the rocky start and franchise-laden middle. I’ve seen movies great and terrible this past year, as well as some fantastic performances. Let Me In – An unnecessary, but nonetheless good-looking remake of 2008 fave, Let the Right One In from Cloverfield director Matt Reeves. Nice Guy Johnny – A straight-to-iTunes release from actor/director Ed Burns. Blue Valentine – A strangely controversy-fueled romantic drama. The Illusionist – An French animated film from a 55-year-old Jacques Tati script? I’m intrigued. Monsters – First-time director and visual effects artist Gareth Edwards takes low-budget filmmaking ambition to shocking heights. By all accounts, this film was at least gorgeous-looking, despite not being this year’s District 9. 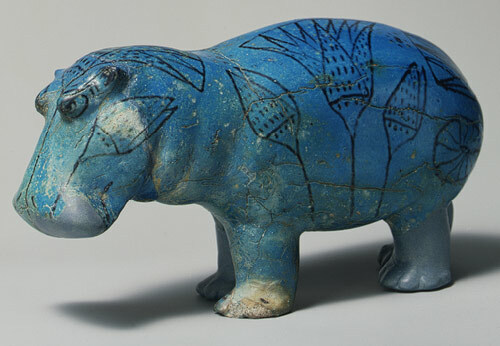 In the ensuing year, I sought to find a new symbol for the Glennies, but the blue Egyptian hippo began invoking ancient curses, so I’ll just have to leave him be. His name is Roger, and he is the official statuette of the 2010 Glennies. Enjoy!